Here I combine salt fish with creamy mashed potatoes, nutmeg, onion and green onion. The pie is topped with a crispy golden crust of garlic-infused panko bread crumbs. 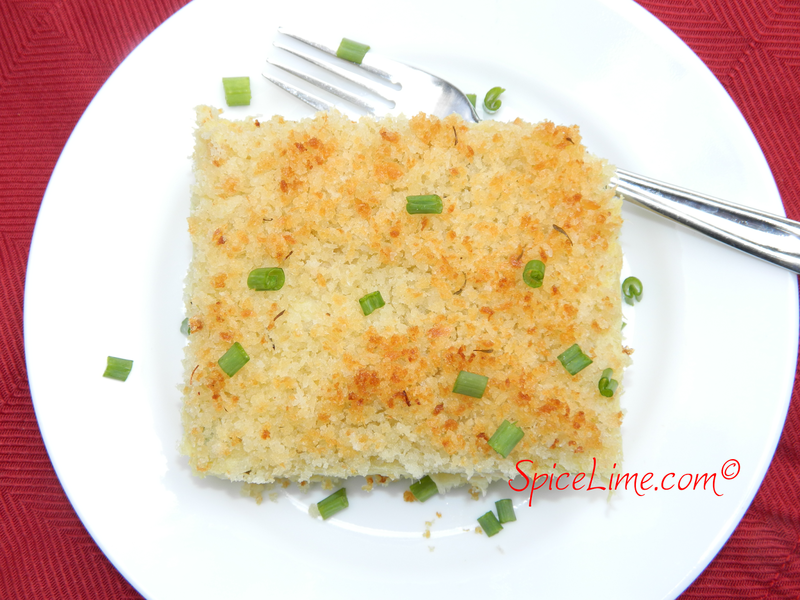 If you're a salt fish lover, you must make this pie! Place potatoes in a large pot. Fill with enough water to cover potatoes. Boil over medium-high heat until they are tender when pierced with a fork, about 45 minutes to 1 hour (depending on size of potatoes). Place salt fish fillets in a large pan, and cover with water. Bring to a boil over medium heat, and let cook for 20 minutes. Drain and rinse with cold water. Shred fillets. Heat oven to 400 degrees F. Grease a 13 by 9-inch baking dish with butter or cooking spray. In a large bowl, combine mashed potatoes, half and half, butter, nutmeg and black pepper. Stir well until potatoes are fluffy. Add shredded salt fish, onion and green onions to the mashed potatoes. Mix well. In a small pan, heat olive oil over medium heat. Add garlic, and let cook until garlic slices are browned, about 3 minutes. Using a slotted spoon, carefully remove garlic from oil and discard. In a bowl, combine panko bread crumbs, sea salt and thyme. Pour garlic-infused olive oil over bread crumbs, and mix well. Spread potato and salt fish mixture into the baking dish. 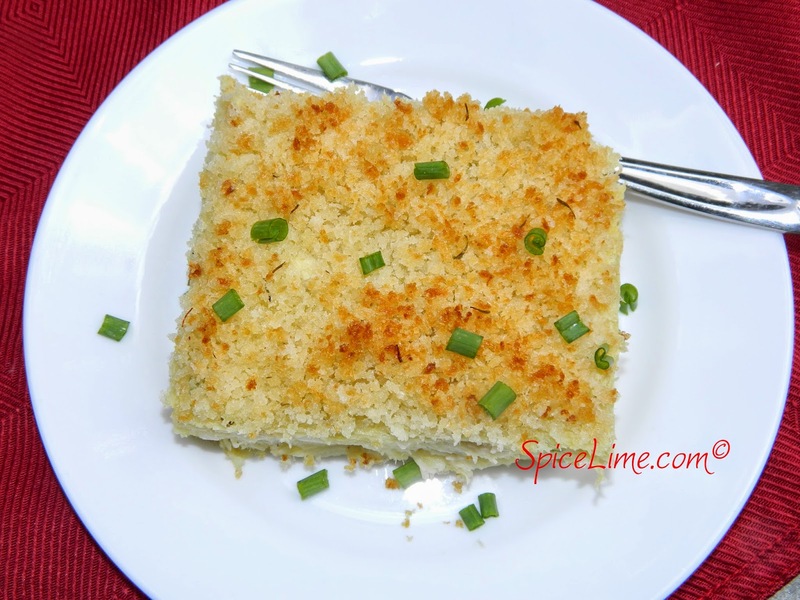 Top with garlic bread crumbs. Bake in oven until the top is golden brown, about 20 to 25 minutes.